but I do feel better now. Here’s a second interesting view of Isaac, now well inland over northern Louisiana. This time it’s an animation of the surface wind field around Isaac at 11:00 a.m. CDT. The creative and wonderfully imaginative people at Google’s Big Picture data visualization group created the surface wind visualization site (http://hint.fm/wind/index.html) which was the source for this animation. The hypnotic swirl is mesmerizing. …the effects of another impressive solar flare are headed towards Earth in the next 24 hours. Updates about expected impacts on radio transmissions, auroral activity, etc. are issued by NOAA’s Space Weather Prediction Center and posted here. It doesn’t look like the auroral activity will be seen this far south (40°N), but it really doesn’t matter because we’ll be covered in clouds through tonight. And, just why is it so cloudy in Colorado? 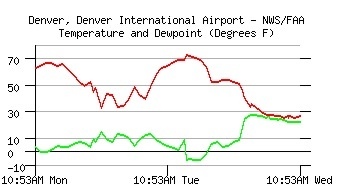 Because of a cold front which moved rapidly down the Front Range of the central Rockies last night. We went from 73°F yesterday (just 2°F shy of the record high temperature for March 6) to a current temperature of 27°F—a 45°F drop! Update after my post: While blogsy does not show the degree symbol in its rich text editor, the degree symbol shows up just fine (as I had hoped) on the WordPress site. Good. Blogsy passes the test! I recently finished the book Inside Apple by Adam Lashinsky who is a senior editor for Fortune covering all things Silicon Valley. The book was interesting and a fast read—it read much like a long magazine article—and it’s a nice companion to the Steve Jobs biography by Walter Isaacson. Near the beginning of the book Lashinsky describes the kinds of people Steve Jobs hired during the early days at Apple. In particular, Jobs was looking for people who “had an insight into what one sees around them,” what Lashinsky and presumably Jobs called an “artistic gift.” The artistry found in computer design also manifested itself in other ways which Jobs described in a 1995 interview for the Computerworld Smithsonian Awards Program. The following is a quote from that Awards Program which Lashinsky uses in the book. 1Adam Lashinsky, Inside Apple: How America’s Most Admired—and Secretive—Company Really Works (New York: Business Plus, Hachette Book Group, 2012), p. 52. Ah yes! What a difference a year makes. Even more striking is the difference in the amount of water contained in the central Colorado snowpack this year as opposed to last. 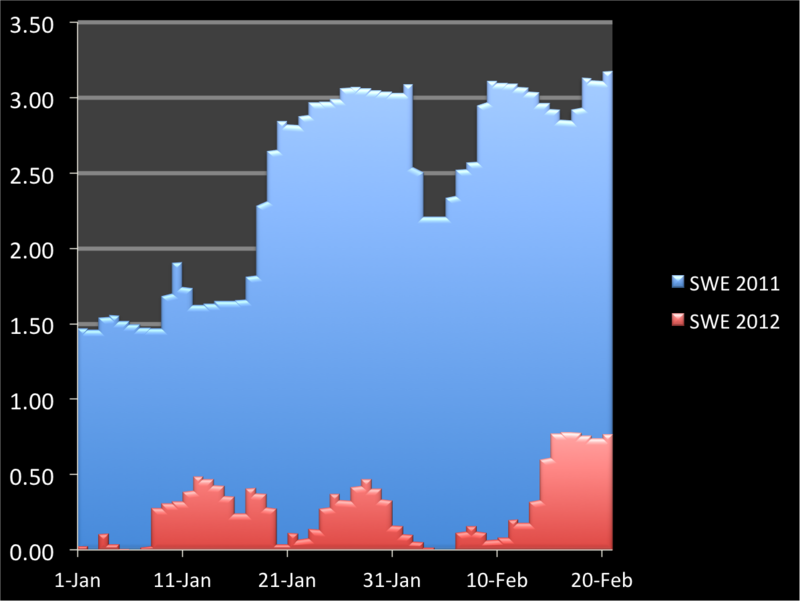 The graph to the right shows the snow water equivalent (SWE), the amount of water in the snowpack measured in inches, for a location not too far from the snow stake comparing Jan 1-Feb 21 of last year with the same period this year (last year=blue, this year=red). Again, what a difference a year makes! Last year the snowpack contained more than 3″ of water (if you were to melt all the snow in a column); this year the pack has about ¾”, just 25% of last year’s amount. 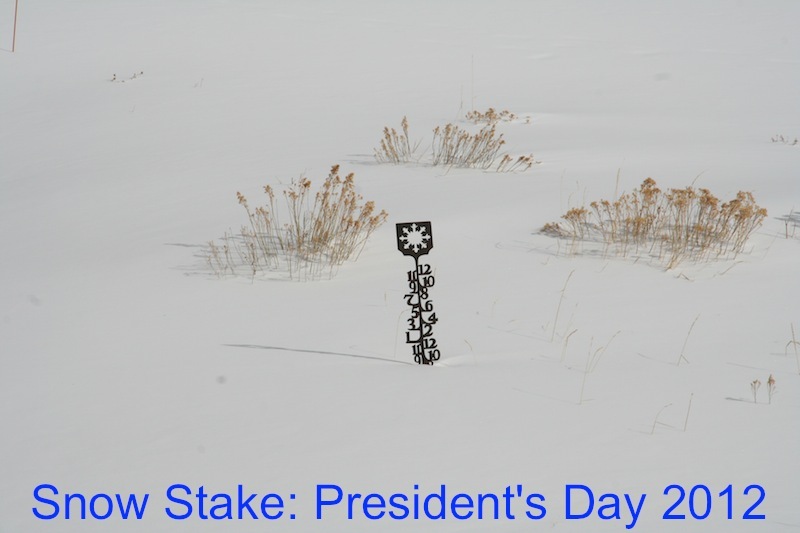 The dearth of snow in the Central Rockies is not confined to the area just around my snow stake. This next map, from the Natural Resources Conservation Service (NRCS—a part of the U.S. Dept. 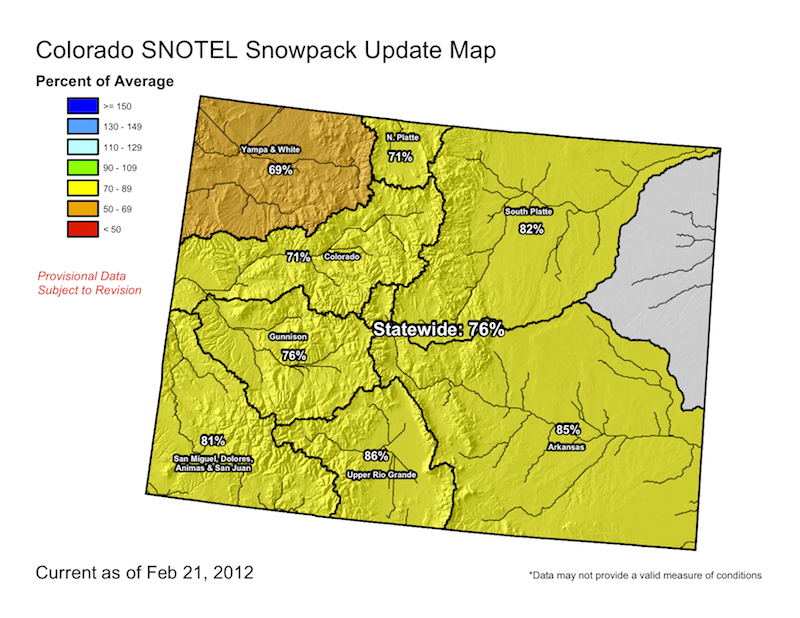 of Agriculture), shows all of Colorado having a below average snow season this year. 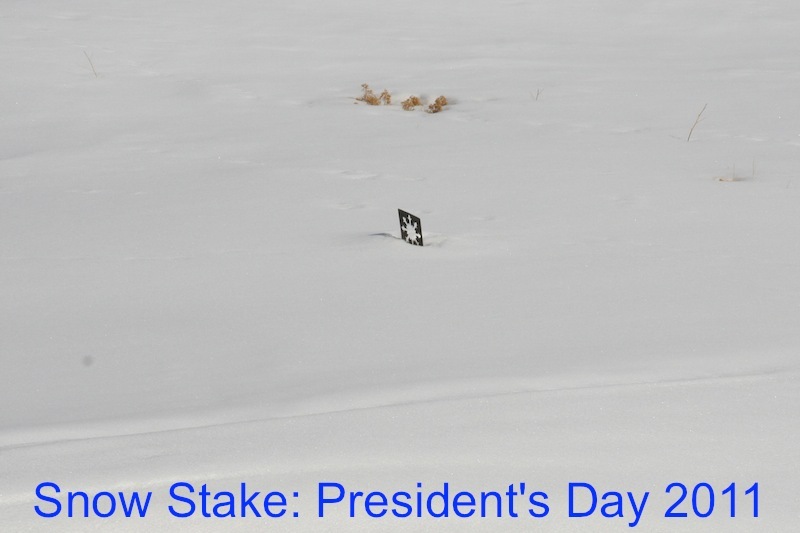 The NRCS collects data about the snowpack (snow depth, water content, etc. ), both remotely and in-situ, and produces a variety of maps depicting the condition of the wintertime snow cover. Their Colorado map set can be accessed from here. To the right is an even bigger picture view, again from the Natural Resources Conservation Service. Most of the western U.S. except the far northern regions and a few spots in the southern Rockies have had a snowstarved winter. If you are interested in monitoring changes in the snowpack across the western U.S., here’s where you can access daily updates to this map. 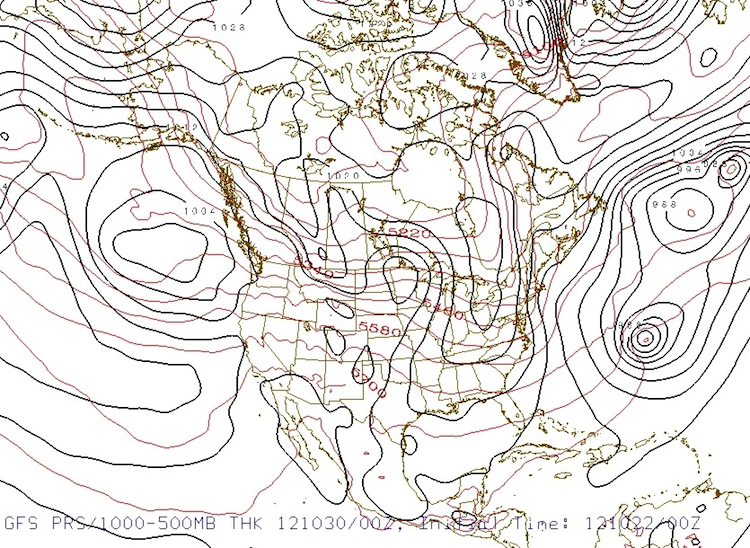 Much of this winter’s snowlessness across the U.S. is related to the location of the jet stream. 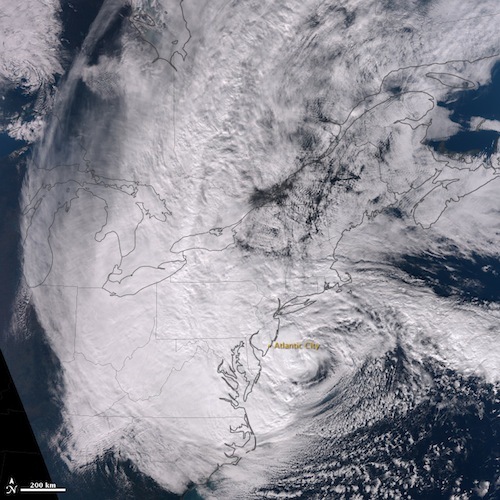 Winter storms generally follow the path of the jet stream (Storms develop along thermal boundaries between cold air to the north and warm air to the south, in the Northern Hemisphere. 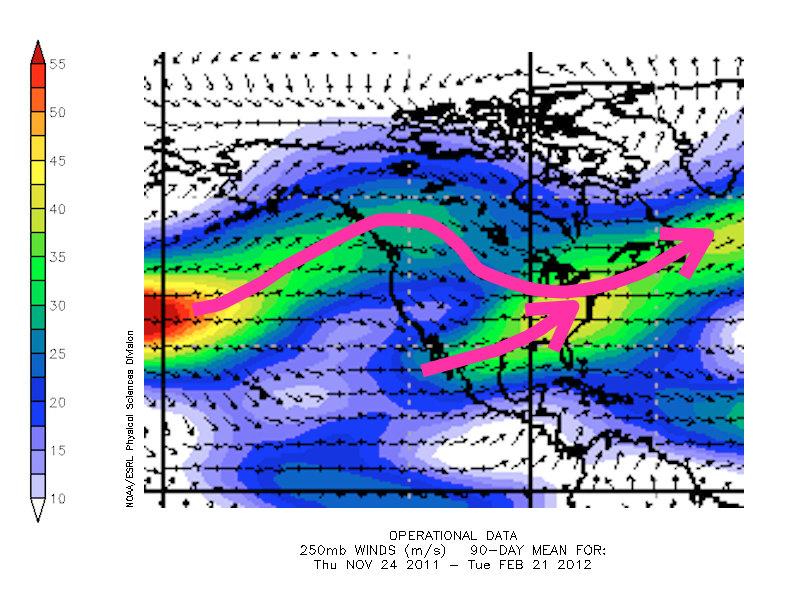 The jet stream is created by these same thermal differences.) 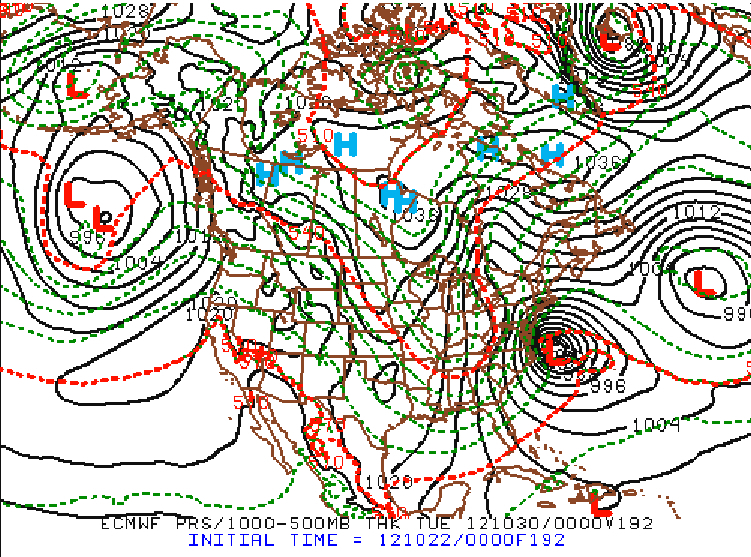 Generally, cold air and snow will be more prevalent along and on the poleward side of the jet stream’s location. This winter, on average, the jet stream has been farther north than normal especially over the western U.S. as this map shows (magenta arrows show average position of the jet stream). 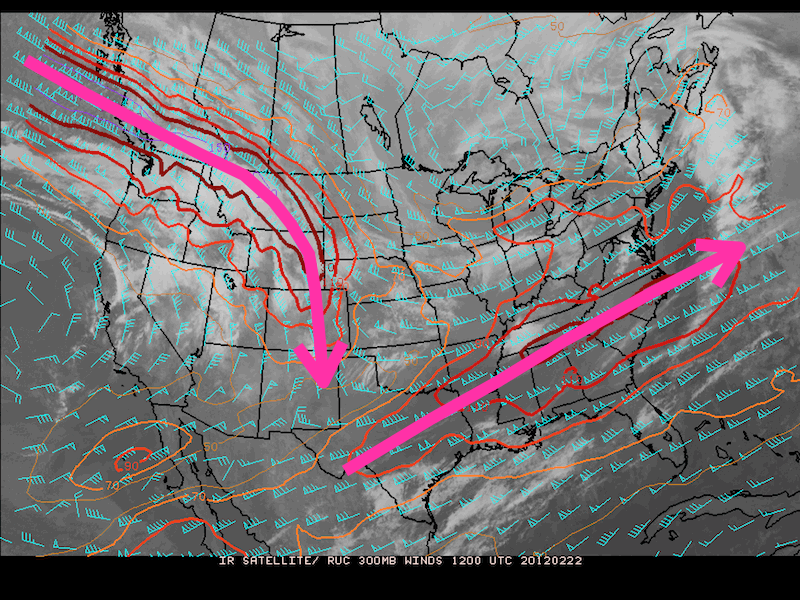 Usually, those magenta arrows would be hundreds of miles farther south and the northward bulge over western North America would not be as pronounced. This is a pattern which is often seen during La Niña conditions (cold water over the central Pacific Ocean) like what we have this winter—although this year the jet stream is even farther north than in typical La Niña years. And, as with all things weather, by the time I post this missive it will be old news. In the past few days the jet stream has shifted south and west (as shown by this satellite picture and wind speed map from today). 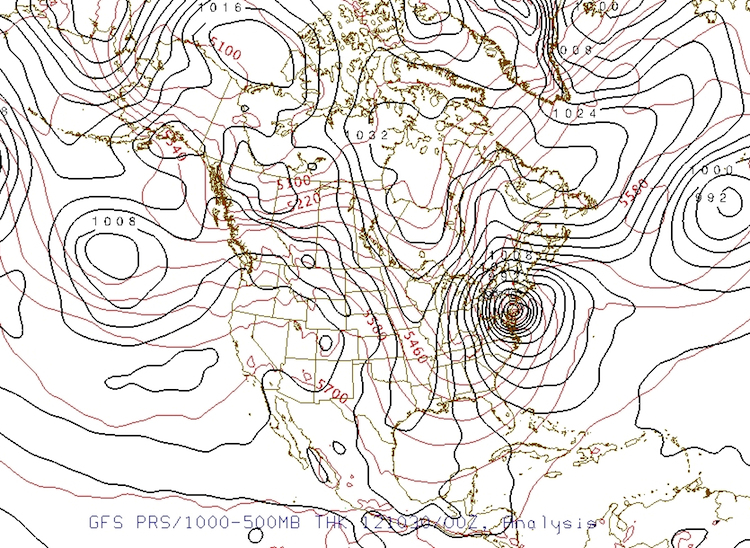 It now enters the U.S. over the Pacific Northwest and dives down into the central Rockies. Meanwhile over the eastern U.S., it’s farther south as well (and, not surprisingly, Richmond, VA had a few inches of snow this past weekend). For Colorado, this has meant a return to snowy conditions for our mountains with fresh powder at the ski resorts being measured in feet rather than inches. 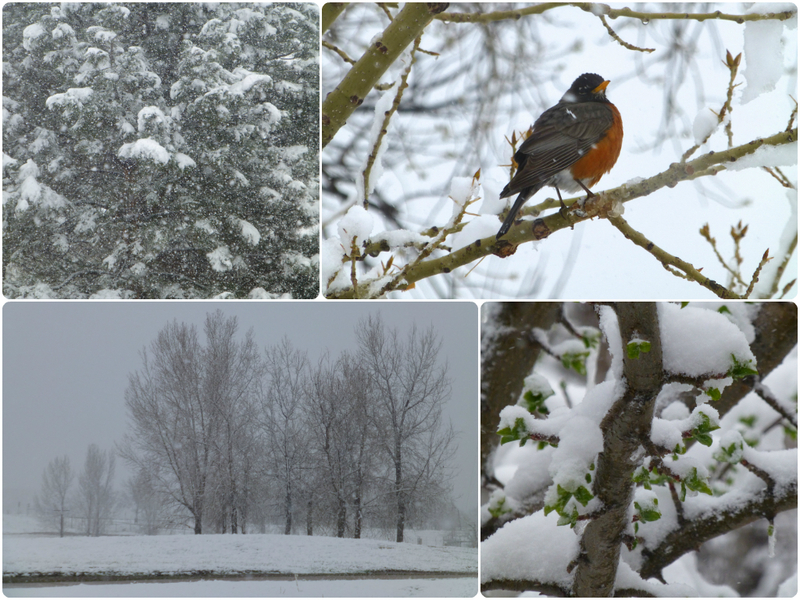 This is good news for the western watersheds (but bad news for my snow stake). And for the next 10 days, at least, it looks like the jet stream will remain closer to its normal position across the western U.S. leading to more normal wintertime weather. After a bit of effort scanning through my digital photo library, I found a nice image to use as the banner for this blog. Then, I used Apple’s Keynote software to resize it and add two critical pieces: the requisite blog title and all-important one-line description of what this blog might contain. 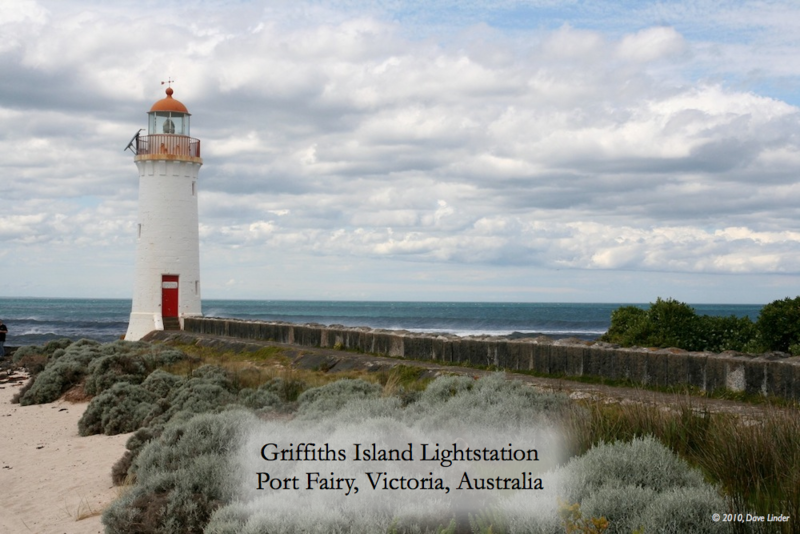 My banner picture is of the Griffiths Island Lightstation (or Lighthouse) in Port Fairy on the southern coast of Australia. Port Fairy is at the western end of “The Great Ocean Road,” the beautiful ocean-hugging route in Victoria, Australia, from Melbourne west towards Mount Gambier. This lighstation is one of more than 350 in Australia, many of which have quite interesting histories and are open to the public. They are well worth the visit if you happen to find yourself in Australia with a penchant for picture-taking or want to absorb some local history.